Date Night is a gift to the couples of our parish to help enrich and support Catholic marriages. Attendees will rediscover God’s plan for marriage and will gain practical tools to treat their marriage as a daily sacrament, building a stronger and more joy-filled marriage. 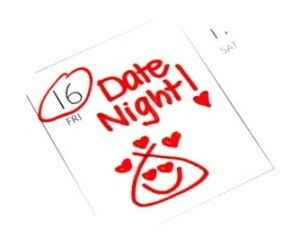 Date nights are held on Fridays from 6:45 PM to 9 PM in the multi-purpose room. Child care and beverages will be provided. Appetizers will be potluck. Take a look at a sample evening! Top Ten reasons to come!